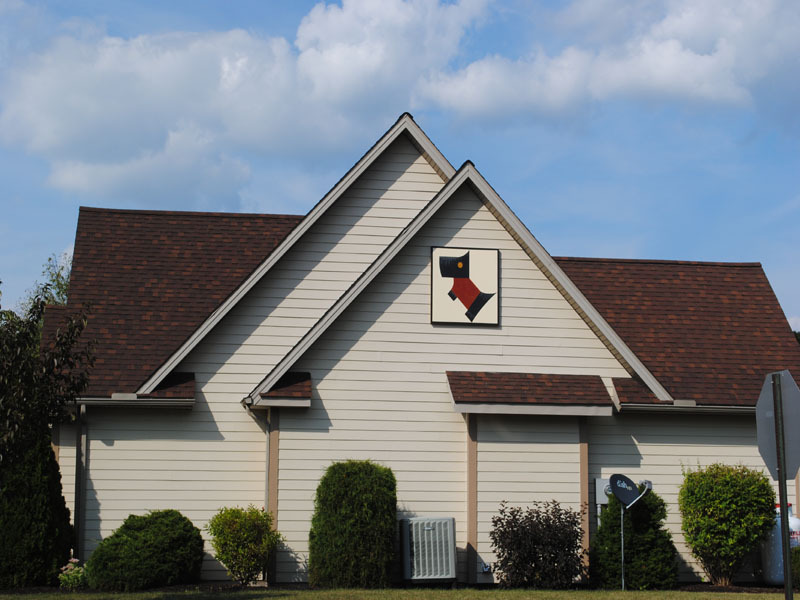 Jane and Paul MacDonald chose a "Scottie Dog" design barn quilt and had it put on the E. Maple Street side of their house on the corner of 105 Hohman Drive, McConnellsburg. They admit to always having a mixed breed dog (and a cat) in various houses they occupied over their 64 years of marriage, but never a pure bred Scottie. Cost was possible one of the reasons for this. Because both of their families come from Scots lineage, they have had a love for anything Scottish. Hence this design.